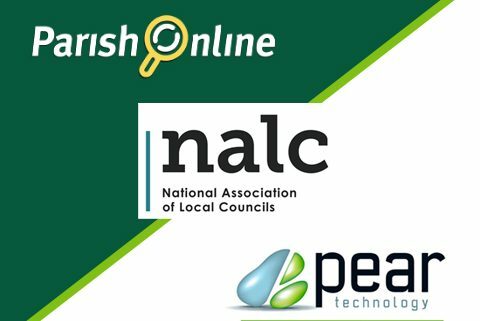 Pear Technology are excited to be running a workshop at next week’s NALC Annual Conference in collaboration with GeoXphere and Bluesky. 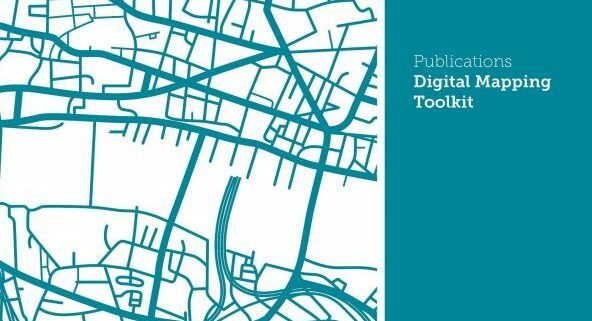 The workshop will spread the word about how councils should be using digital mapping to harness local knowledge in order to better understand and serve their local area. 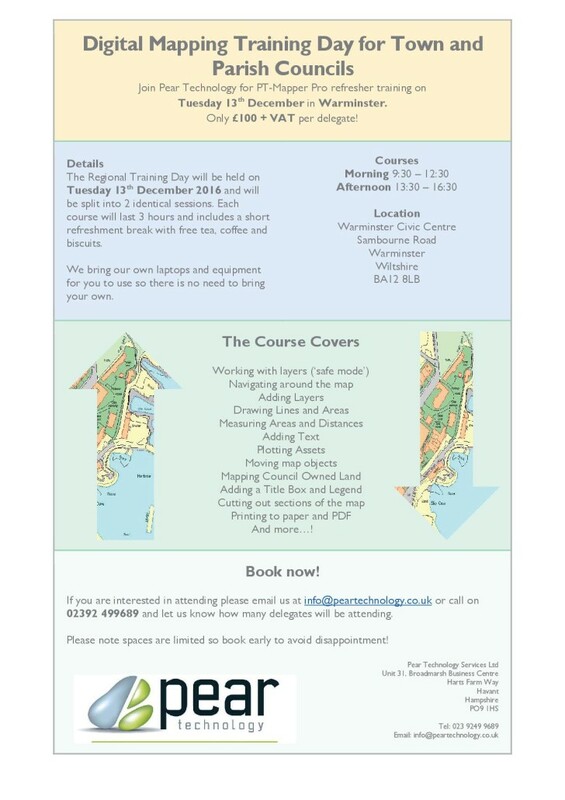 Digital mapping can seem daunting at first but our workshop will help explain the different options available and demystify the process of putting your council on the map. The workshop will be held on 30th October at 16.00 – 17.00 and again at 17.00 – 18.00 in the Explorer room. To read more about Pear Technology and GeoXphere’s partnership agreement you can read our press release here:- http://www.peartechnology.co.uk/geoxphere-and-pear-technology. Local Company Celebrates 20th Anniversary Milestone! We are ecstatically proud to announce that last year Hampshire based company, Pear Technology, reached its 20th Anniversary! 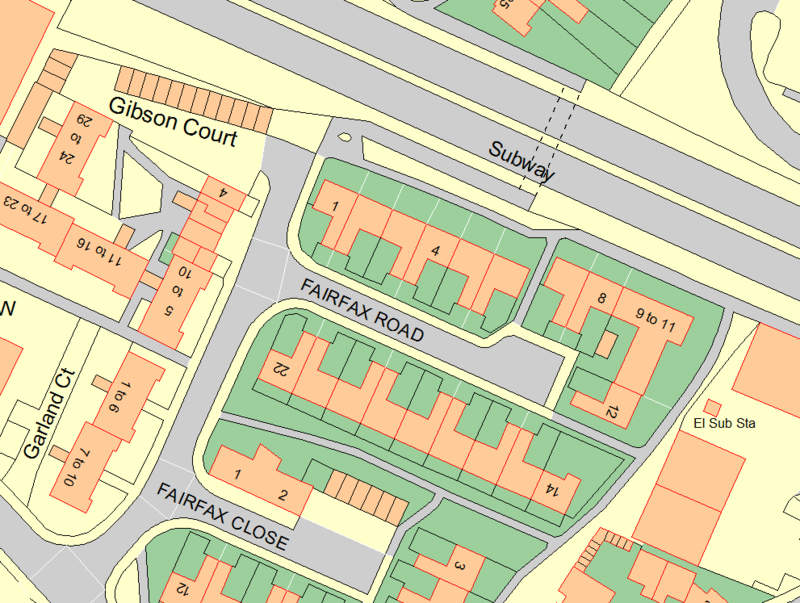 Founded in 1995 by John Cowling & quickly becoming licenced partners of Ordnance Survey, the creative business has grown massively into a leading developer & supplier of digital map editing software for land management. With an expanding customer base and 20 years of knowledge, the Pear Technology team have turned into expert consultants offering specialised software, training & a full map preparation service to get everyone going. The full shebang! Estates, farms, arboriculturists and council’s nation-wide have enlisted the product as a core land management tool. 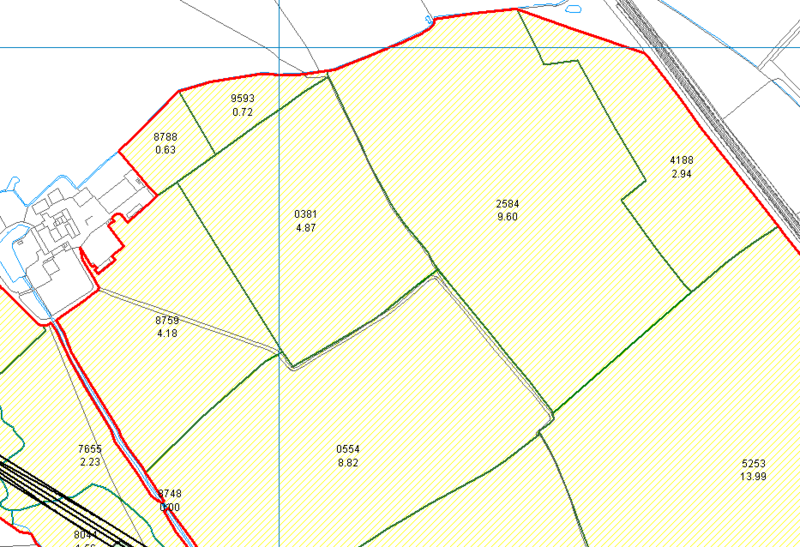 Over the 20 years, Pear Technology has mapped nearly 2 million hectares of the UK! To match workload the office has expanded. Holding space in Havant, the company now has more employees than ever, including whizzy placement students and postgraduates from the University of Portsmouth. Ever growing in presence, most recently the company has seen the launch of a brand new website, www.peartechnology.co.uk. Take a look, or Tweet us @PearTechnology. This year, with the calendar full of shows, conferences, and client meetings we are excitedly awaiting all that is to come! Congratulations Pear Technology, here’s to another 20 years of digital mapping action! 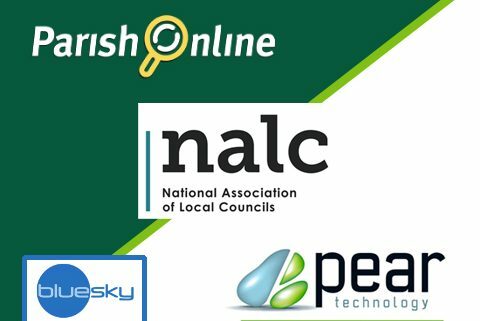 Public Rights of Way data has recently become much more widely available and Pear Technology are pleased to offer the service of adding this information to your digital map. Available on various Ordnance Survey raster tiles, Public Rights of Way information previously had to be purchased then painstakingly traced leaving some degree of inaccuracy. 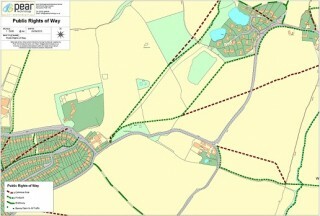 It can now be added to your digital map on its own layer, making it much easier to display and edit on your map. In PT-Mapper Pro, one click can tell you how long the footpath is and another can show you the route in Google Earth’s aerial view. 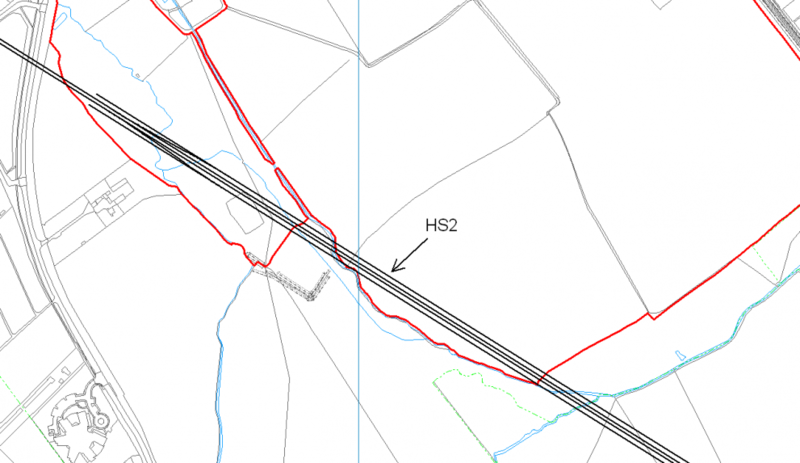 Footpaths – for walking, running or mobility vehicles. Bridleways – for walking, horse riding, cycling or mobility vehicles. 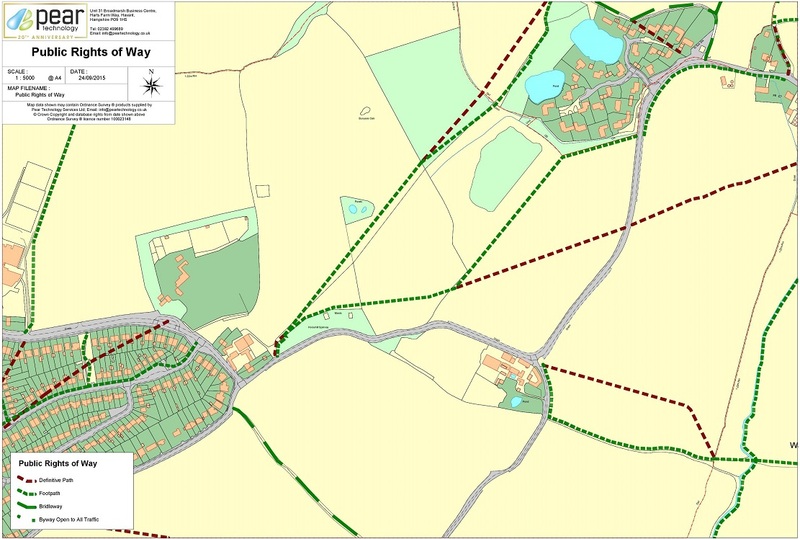 Restricted Byways – for any transport without a motor and mobility vehicles. Byways Open to All Traffic (BOAT) – for any kind of transport, including cars but mainly used by walkers, cyclists and horse riders. 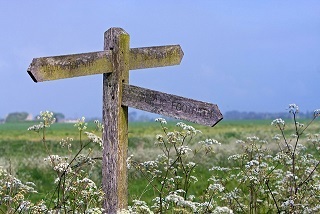 Landowners have responsibilities for the Rights of Way which fall on their land. Knowing where these routes are is the first step in ensuring compliance with environmental law! You are not allowed to grow crops on Public Rights of Way, although grass can be grown for hay and silage. Footpaths and Bridleways may not be ploughed unless they cross fields. Landowners must then supply an access route 1m – 2m wide respectively within 14 days of ploughing. You cannot put up gates or stiles without the local authorities permission. 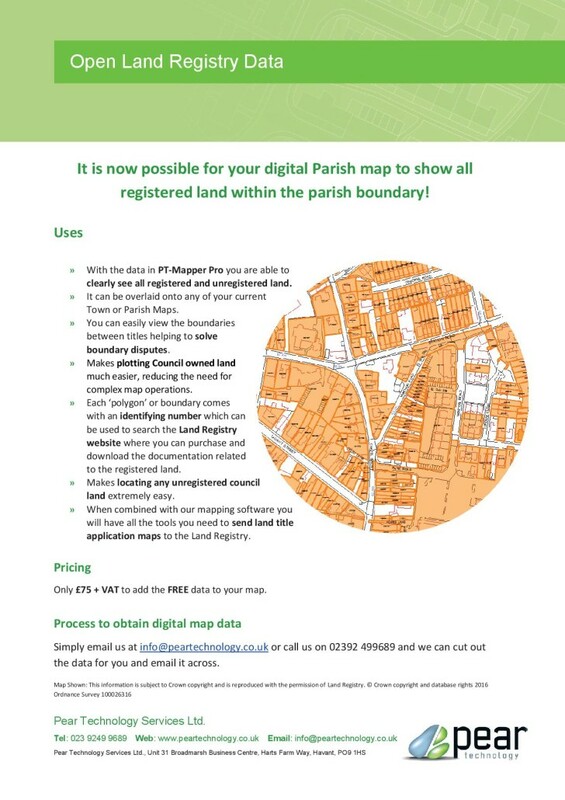 If you would like Public Rights of Way information added to your map simply email info@peartechnology.co.uk or call us on 02392 499689 and we can check availability and provide a quote for the work.